John Frye, Director of Pupil and Staff Services for the New Richmond Exempted Village School District, has been honored as the district’s Career Prep Educator of the Year by the Clermont County Chamber of Commerce for his work with the Transitions Program for students with disabilities and the development of Brewhaus Dog Bones. This recognition event is part of the Work Readiness Initiative of the Clermont Chamber of Commerce Foundation which brings educators and businesses together to enhance students’ work-ready skills. Frye was nominated by NREVSD Supt. Adam Bird. Transition serves students with disabilities ages 18-22 in a life skills, employment skills and functional curriculum. Currently eight student Associates are served by four job coaches and a teacher who work to prepare them for adulthood. Formerly contracted out to West Clermont, the Transition program was moved back to the district in 2014 at a savings of more than $100,000 per year. The cornerstone of the New Richmond Transitions Program is The Brewhaus Bakery Company located on the first floor of the Market Street School. Currently, Listermann Brewing Co./Triple Digit Microbrewery, Mt. Carmel Brewing Co., Rivertown Brewing Co., Bad Tom Smith Brewing, Paradise Brewing Supply, Ei8ht Ball Brewing, Braxton Brewing, Fibonacci Brewing Co., and Old Firehouse Brewery donate spent barley grains and sell the Brewhaus products in taprooms/brewing supply stores. 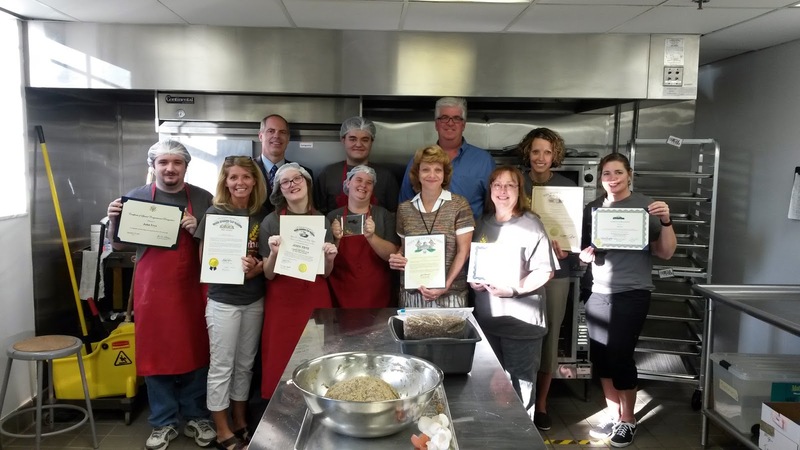 Mariemont, New Richmond, Oak Hills, Sycamore, Princeton, Mason in Ohio and Ft. Thomas and Boone County in Kentucky participate in the program and use the start to finish non-profit business model to help their students with disabilities (typically ages 18-22) learn valuable work and life skills. Students participate in all aspects of the program from planning/forecasting demand, making, baking, labeling and weighing bags, processing orders, attending community sales opportunities, calculating costs, counting money (both cash and credit) from sales and then making bank deposits. Brewhaus Dog Bones from spent brewery grain. Brewhaus has partnered with Clovernook Center for the Blind and Visually Impaired to create a paid employment opportunity. Brewhaus Dog Bones are currently being sold at Rivertown IGA in New Richmond, Party Source in Bellevue, Ky., Country Fresh Market in Anderson Township, Newtown Feed & Seed, Earthwise Pet Supply on Montgomery Road, Family Animal Hospital in Batavia, Cincinnati Hills Animal Clinic on Montgomery Road, Dog Day Every Day on Ohio Pike and Princeton Glendale Road in West Chester, Anderson Family Pet Center on Clough Pike, Sweet Frog Frozen Yogurt on Eastgate South Drive, and Gardenia Garden and Home Décor in Milford.